I love sharing my handmade eco friendly products with my customers. I am so thankful that folks actually save up for a tank of gas (kind of funny, is it?) or do whatever needs to be done so they can come out and shop at the craft fairs that I attend. Nothing makes me happier than receiving feedback from my customers. Below is an email that just popped into my inbox from a customer that I just had a share with you, when I read it I was smiling ear to ear and bubbling with joy inside. I purchased a bar of your Doggy Soap at the Celebration Pie Festival and just recently bathed both of my beagles with it. I have to tell you that it is the most wonderful bar of soap and it lathered up so quickly that I was amazed. The ribbed side that was on one side of the bar was great for massaging the dogs' backs and I heard a lot of "oohs and aah's" out of them, so I know they enjoyed it. Anyone who has ever bathed a dog, knows that time is of the essence, so it was a real delight to see the bar lather up so quickly and completely cover them in bubbly suds in no time. Thanks again for making such an incredible product. 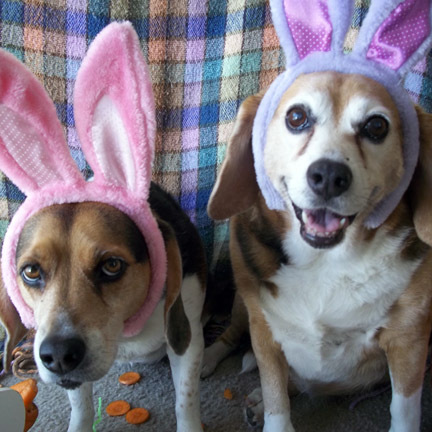 "A Photo of Nancy's Beagles." Here is a link to Nancy website, which is on the list of must see websites for pet lovers. I won a stylish blog award! YAY! This is my very first blogging award and I'm honored to display this award on my blog! I was chosen to receive this award by Cindy with Retro Revival; check out her blog at www.retrorevivalbiz.blogspot.com. She is so talented, funny and sweet, plus she has good taste……well she picked me for this award? Oh, sorry for that crazy moment of blogging vanity, it's all in good fun. Now with all kidding aside check out Cindy’s blog and website at www.retrorevival.biz. She handcrafts beautiful aprons, tote bags, shower caps and many another fun items. Shout-out to Cindy. Thanks for choosing me and letting me know that someone truly appreciates what I’m doing in my crazy busy creative life! Here are the award obligations. As a recipient, I am required to thank the blogger that gave the award to me in this post and link back to her blog. In this case that would be www.retrorevivalbiz.blogspot.com. I then share seven facts about myself and then present the award to six or seven of my favorite stylish bloggers. 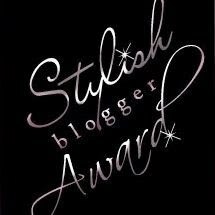 And now the drum roll please…..I award the following six blogs with their very own Stylish Blogger Award and suggest that you check them out at the links provided! They all rock! · My love for creating things came from growing up with my Mom and my Aunt who were always crafting, sewing or making something handmade. · I am addicted to soap making. · I love vintage items and funky junk. · I am fairly certain that I have a mild case of OCD. I do not like it AT ALL if things on my house . . . or in my car . . . or in my closest are not in perfect order. · I have a very narrow signing range. I can only sing in three keys. Off. Off-Ful. and Absolutely Off-Ful. Whomever I sit behind at Church during singing at some point turns around and looks at me with that “you sing badly look”. · This is my very first, but hopefully not last, blogger award! · I am the oldest child of four siblings, two boys and two girls. What else can a tearful, humbled, grateful gal say but THANK YOU! 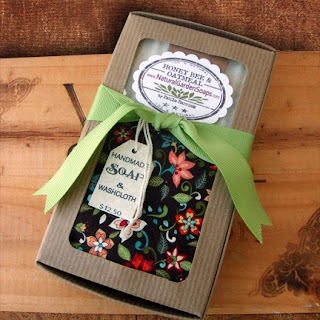 Great post:) How did I miss your doggy soap at the Pie Fest???!!! I need it for MY beagle! I found thru retrorevival.biz blog. I'm going to check out your soaps for sale. Thanks for checking out my new post. Yes, you will have to get some of my all natural dog soap for Twyla. Don't let your unique singing voice stop you from singing I don't. It is what it is, some people are not blessed with beautiful voices or we could be tone deaf. Thanks for stopping by my blog and I am so happy that you found me by way of Cindy's blog (she is a amazing lady). Let me know if you have any questions about my handmade soap. If you would like to be entered into this month’s blog giveaway please send me your email or post it on my blog. My email is paulaparrish@comcast.net. Thanks I have been working hard to improve my blogging. I miss you as well. Would you like together on a Friday night and met at K2? I have been digi scrapping on my laptop and loving it! I am just blown away by your talent on the computer; your digital work is astonishing. I just popped on to your blog and signup for your email list. I will be awaiting your new soap order and I so happy that you love my handmade soap.